The human mind is simultaneously perplexing and profoundly amazing. We have a huge potential for creativeness and intelligence, however, our level of ignorance is equally shocking and mindboggling. In recent times, just like the famous example of a frog that would stay in the water even when the temperature in the water is slowly reaching boiling point; we have gradually adapted to the demands of modern life by sleeping less. We have ignorantly considered this to be the norm. Just like the frog, we continue to damage our health, without any adequate reasoning or response. 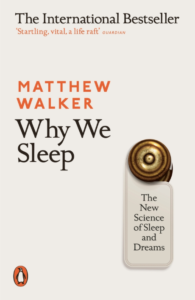 Matthew Walker, the author of Why We Sleep (Allen Lane, 2017) has attributed this adaptation to the invention of electricity which has enabled us to forgo traditional sleeping time of dusk till dawn. Why do we need 7 to 8 hours of sleep? Although the human body is resilient and can recover from short-term stress somewhat unscathed. However, “routinely sleeping less than six or seven hours a night demolishes your immune system.” Leading to all sorts of modern epidemics we are currently witnessing, particularly in the developed world. One of the main points that the book emphasises on is that “short sleeping increases the likelihood of your coronary arteries becoming blocked and brittle, setting you on a path toward cardiovascular disease, stroke, and congestive heart failure.” It is no wonder then that the healthcare like the NHS in the UK is constantly overwhelmed. The book is intended to awaken the reader to the dangers of sleep loss, it does so alarmingly. We are only beginning to understand the whole purpose of sleep. It “restocks the armory of our immune system, helping fight malignancy, preventing infection, and warding off all manner of sickness. Sleep reforms the body’s metabolic state by fine-tuning the balance of insulin and circulating glucose. Sleep further regulates our appetite, helping control body weight through healthy food selection rather than rash impulsivity.” Furthermore, Matthew claims that “You actually eat more when sleeping less,” meaning that we are unlikely to lose body weight, despite trying numerous diets, when we are not getting enough sleep. It is perplexing that during the last century and a half, the education systems across the world chose to omit or mention nothing on this important subject and on the damages that occur to our body due to sleep loss. The reason why I am complaining is that more death and more diseases have been caused by ignorance of the importance of sleep than any other causes; including alcohol and narcotics. I am not asking for the blame game here, but the book fails to mention why science has been snoozing on this important matter for so long. Why has the public not been educated on sleep for a century and a half? Why very little research was done on sleep. Why have scientists not been beating the drums on sleep? This allows me to assume that the modern western culture has, for the sake of corporate profits, almost destroyed family life and introduced (or evolved) a new culture during this period that is only helpful to profiteers but is alien to human nature. Hence, we have huge public health problems and I might add more profits for the pharmaceutical industry. 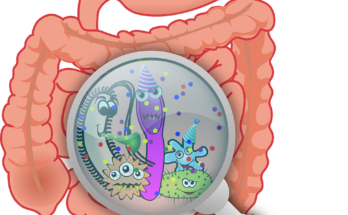 There is an interrelated connection between the increase in public health problems (funding) and corporate profits. As a sceptic, I can imagine which is causing which, although, Matthew’s opinion is on the contrary on this matter. The remedy suggested by Matthew Walker is a correct one that we need to work with nature (meaning natural sleeping times). No point in fighting nature as nature always wins. Personally speaking, I now sleep about 8 hours or more daily and consider this to be important for the creative writing that I do. When my sleep is disturbed, I struggle to concentrate and feel tired and agitated all day long. I try to take a nap during the day to recover my sleep, but, to be honest it is not the same. I can see why Matthew says that those who try to recover sleep loss on weekends but sleep less during weekdays are not benefiting themselves. Matthew rightly points out that all old types of sleeping pills are unhelpful, as they are not really sleeping pills but sedatives. When the person’s brain is sedated he does not experience natural sleep, even though they appear to be sleeping. For natural sleep, melatonin, a chemical in the brain needs to be released. However, the good news is, some new medicines are available in the market that does work on releasing melatonin in the brain. The release of melatonin and experiencing natural sleep is vital for our health. Matthew Walker has written an engaging, powerful and timely educational book on a much-ignored issue that is pertinent to the health of the modern society. He covers nearly every major related topic; however, the readers need to be open to new ideas. I was rather surprised to learn that changes in teenagers sleeping patterns are due to biological and hormonal changes which affect their circadian rhythm, thus, they have a tendency to sleep few hours late and wake up late, as compared to normal adults. As we all know, there is a significant decline in deep sleep as you age. After reaching your mid-forties, you lose up to “60 to 70 percent of the deep sleep you were enjoying as a young teenager. By the time you reach seventy years old, you will have lost 80 to 90 percent of your youthful deep sleep.” However, in Matthew’s view “elderly individuals fail to connect their deterioration in health with their deterioration in sleep, despite causal links between the two having been known to scientists for many decades.” Poor memory and poor sleep in old age are therefore not coincidental, but rather significantly interrelated. According to Matthew Walker, whenever we sleep in a new location or in an unfamiliar environment, on the first night, “one half of the brain sleeps a little lighter than the other, as if it’s standing guard with just a tad more vigilance due to the potentially less safe context.” As we get used to the place, we begin to experience normal sleep. As Matthew says, sleep is non-negotiable. Since the light from eBook readers and mobile phones directly entering our eyes can affect how brain releases melatonin, a chemical necessary for initiating sleep; using dim lighting in bedrooms or at sleep time is recommended. Daily physical exercise is an important contributor to good natural sleep. Do consult your physician before taking up any strenuous exercise regime. For those with chronic sleep problems, the best and most effective method to try is the cognitive behavioural therapy for insomnia or CBT-I. Using sleeping pills should be the last option. As Matthew says, sleep provides a whole health care (prevention) system. This is better than sick care (treatment), which is what we do now. A change in understanding of the importance of sleep is required, perhaps, at the governmental level. We are not frogs; we do not need to procrastinate on health matters when dangers are evidently in front of us. If we continue to ignore the dangers of sleep loss, then we continue to pay the price at a late stage of our lives. We can take small steps, as shown above, to improve the quality of our sleep. Without sufficient natural sleep, we will always struggle to restore the mind.